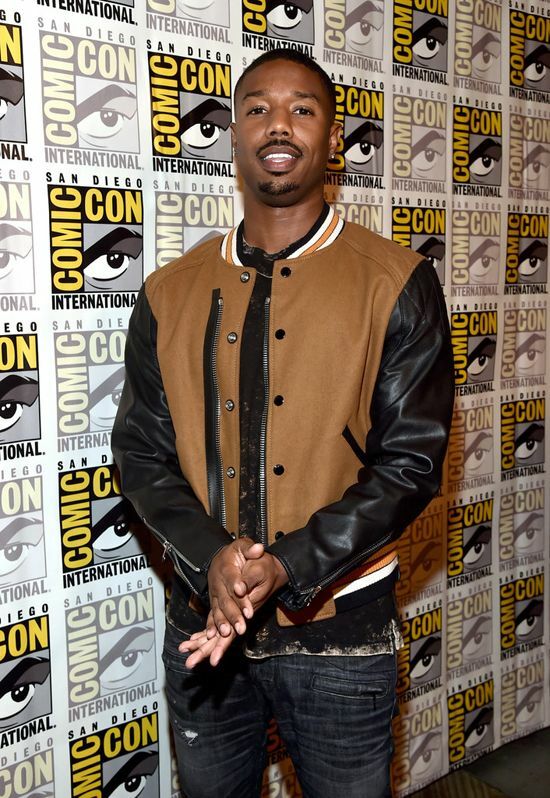 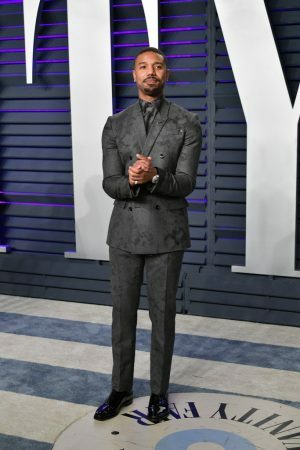 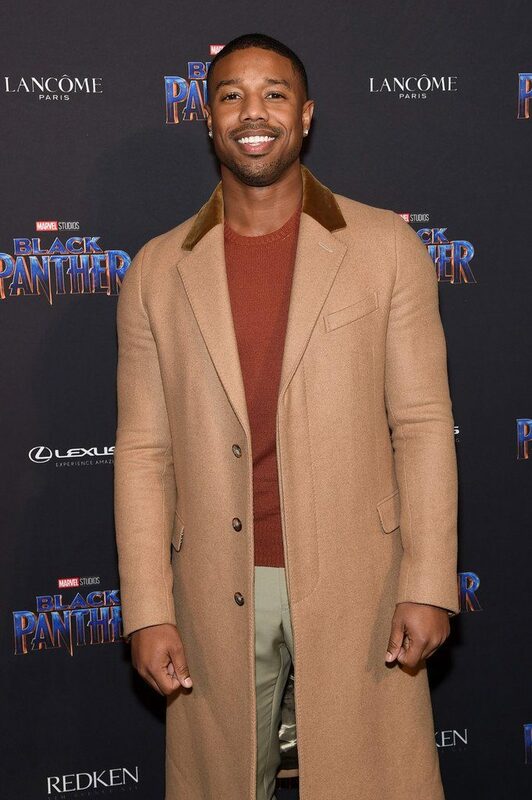 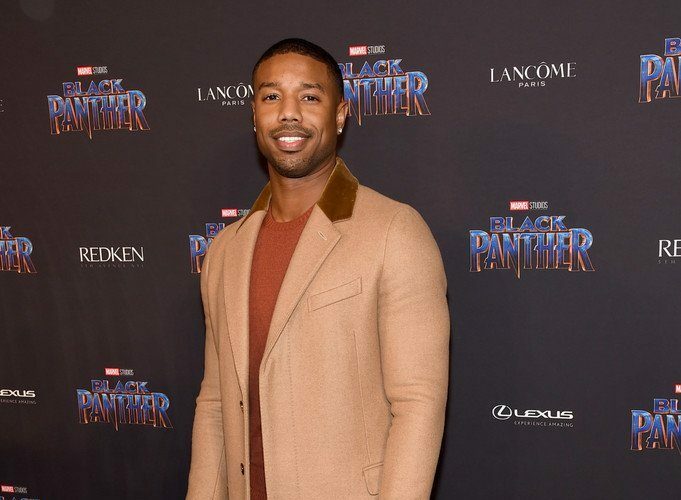 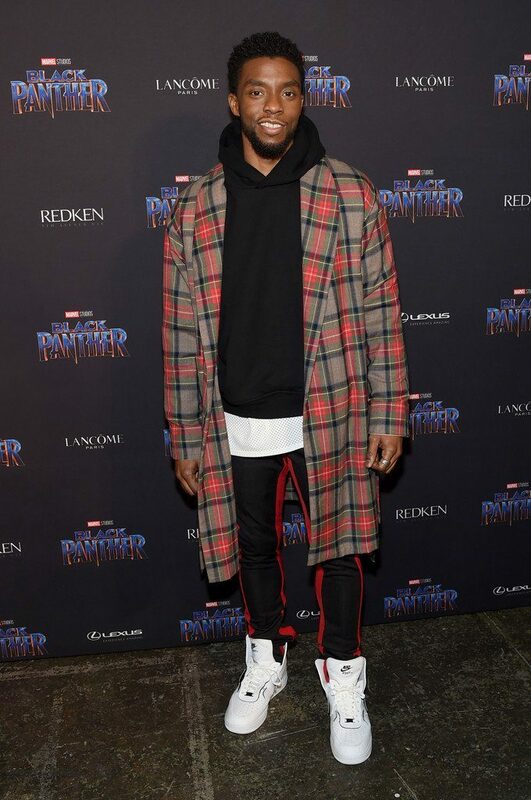 Michael B. Jordan wore a Prada ensemble with Christian Louboutin boots to the #Black Panther Welcome To Wakanda event during NYFW. 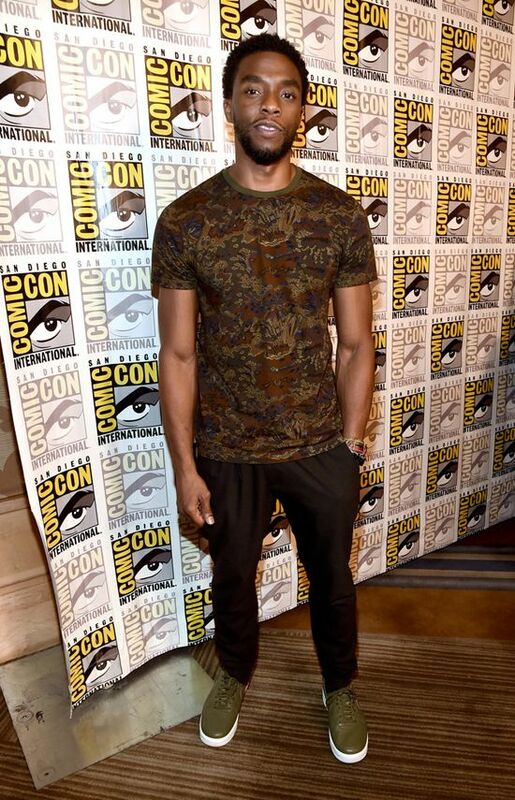 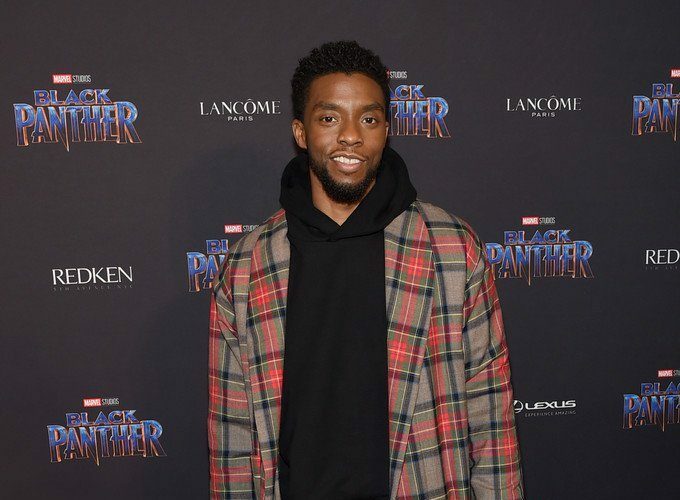 Chadwick Boseman wore a Fear O fGod Fall 2017 ensemble to the Black Panther Welcome To Wakanda event during NYFW. 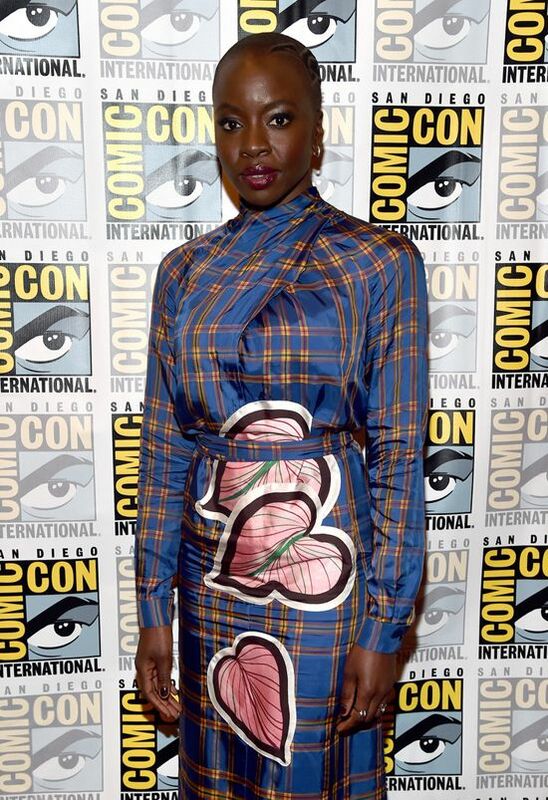 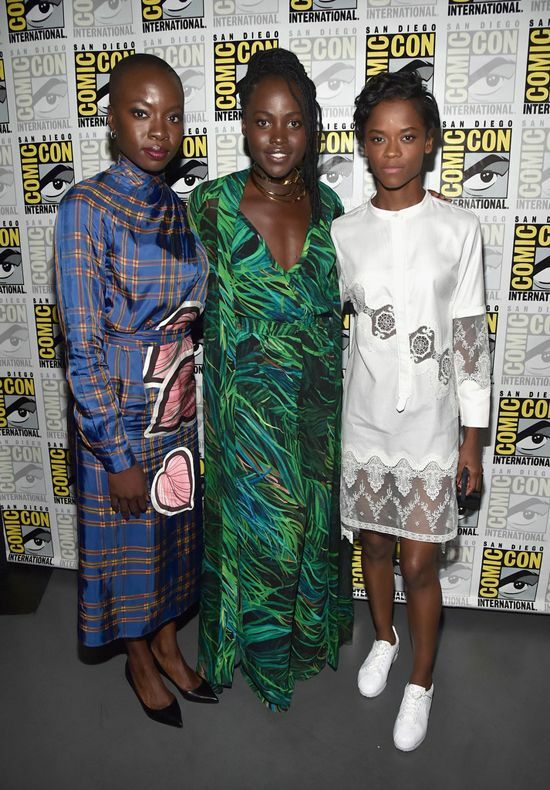 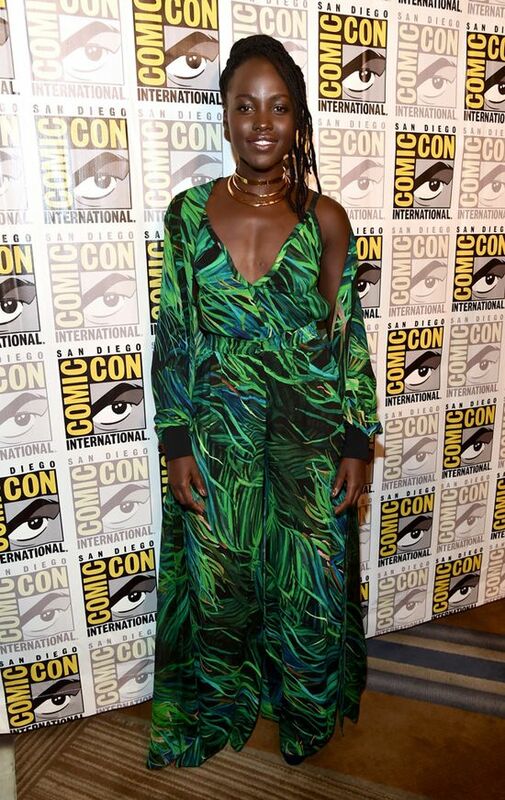 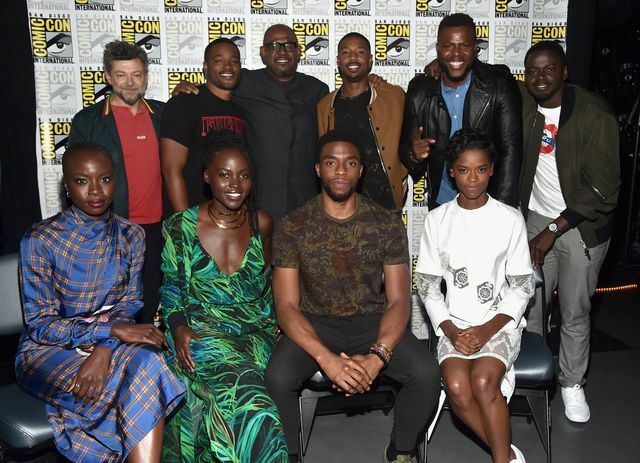 Andy Serkis, Ryan Coogler, Forest Whitaker, Michael B. Jordan, Winston Duke, Daniel Kaluuya, Danai Gurira, Lupita Nyong’o, Chadwick Boseman and Letitia Wright at the “Black Panther” Panel and Q A Session during Comic-Con 2017 in San Diego, California. 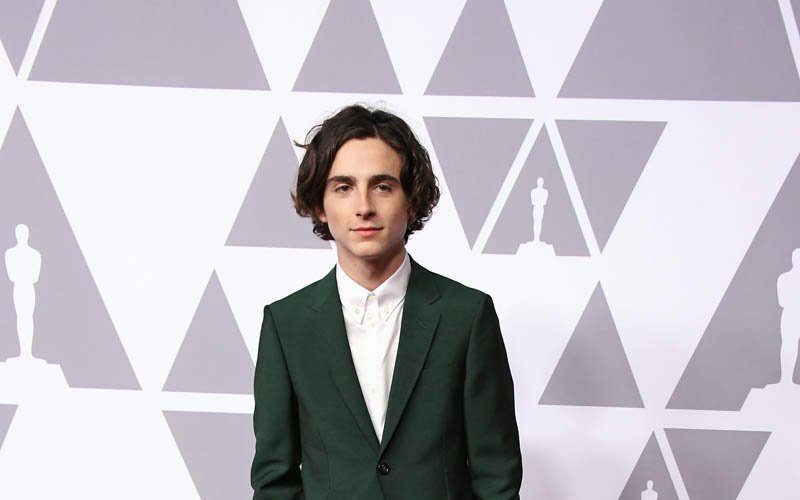 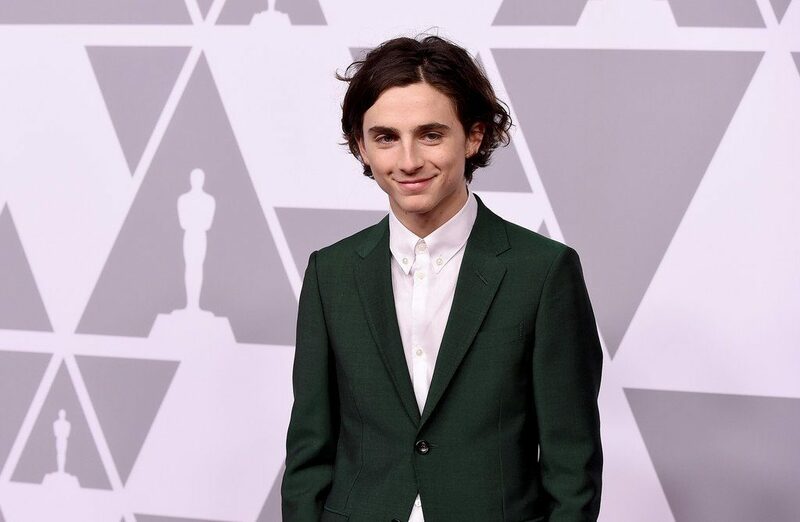 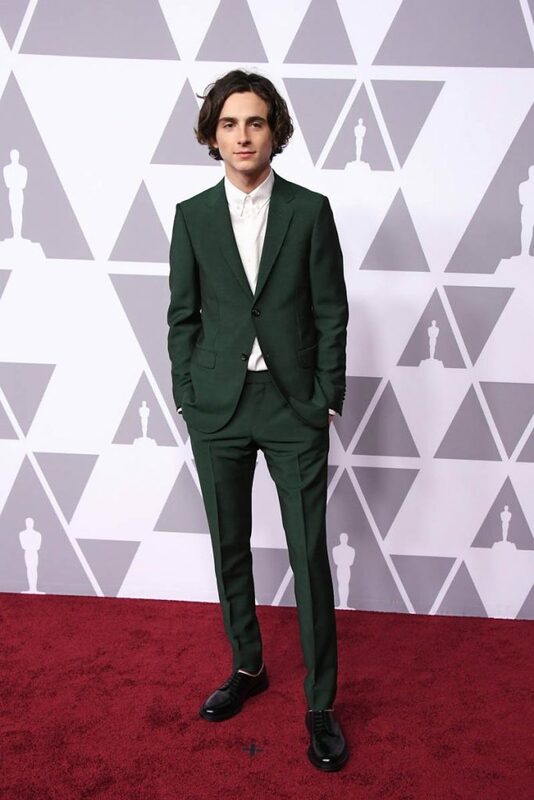 Timothée Chalamet wore a green Monaco Gucci Cruise 2018 suit, white covered placket dress shirt + black leather lace-ups with web grosgrain trim to the 2018 Academy Awards Nominee Luncheon. 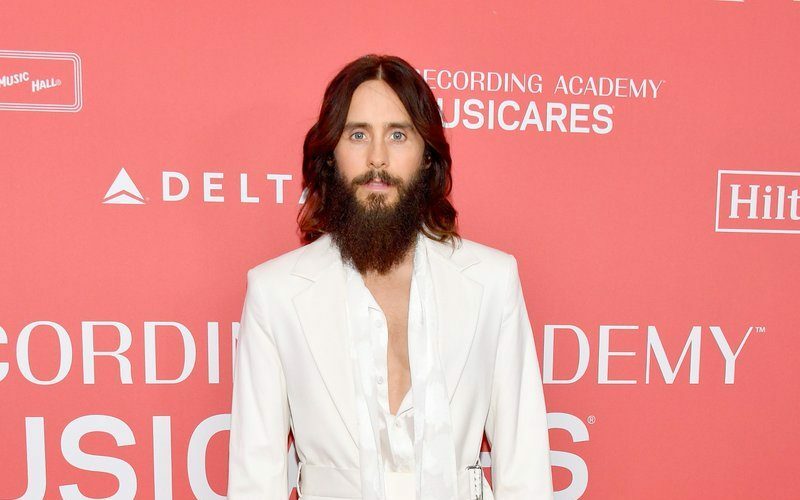 Jared Leto attended an event to honor Fleetwood Mac during 2018 Grammys Weekend at the 2018 MusiCares Person of the Year event on Friday night (January 26) at Radio City Music Hall in New York City. 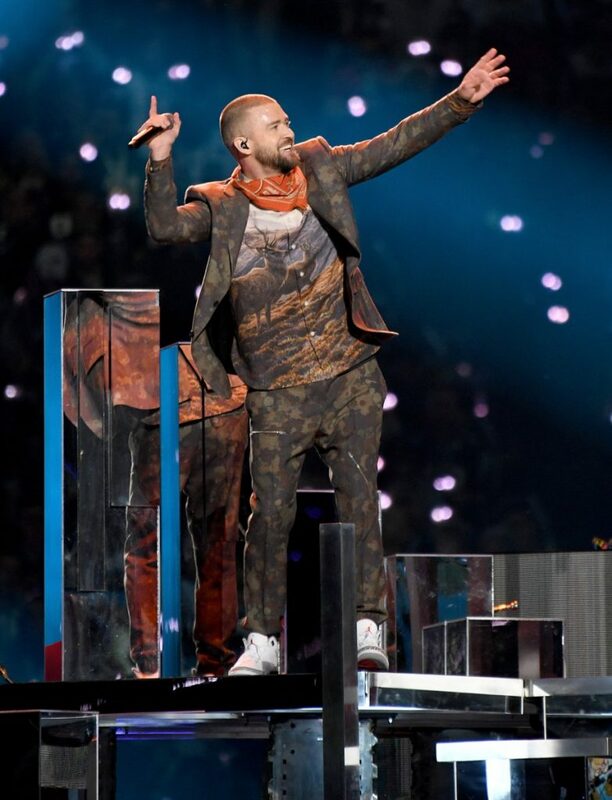 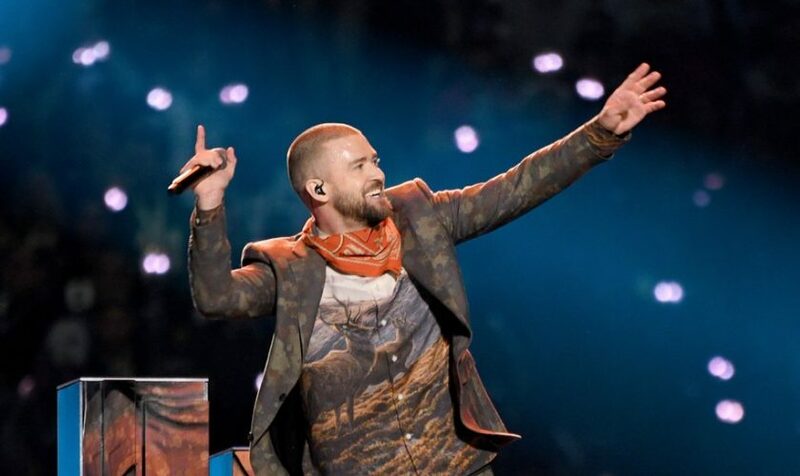 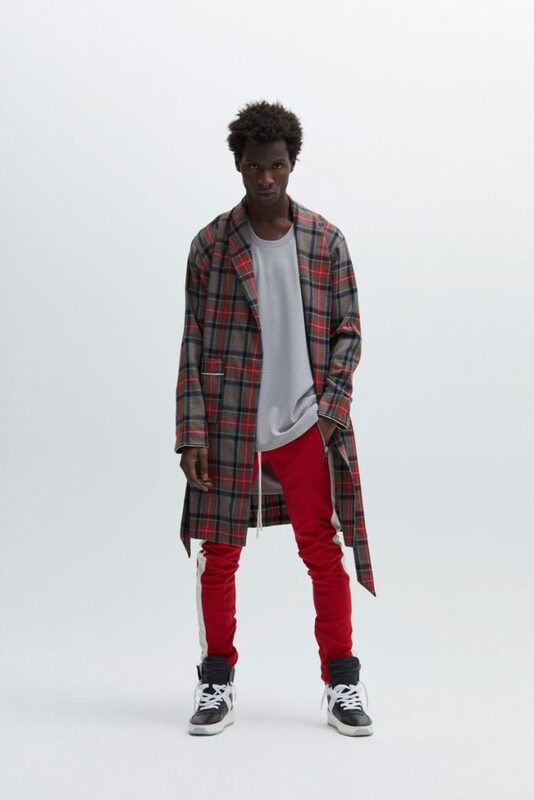 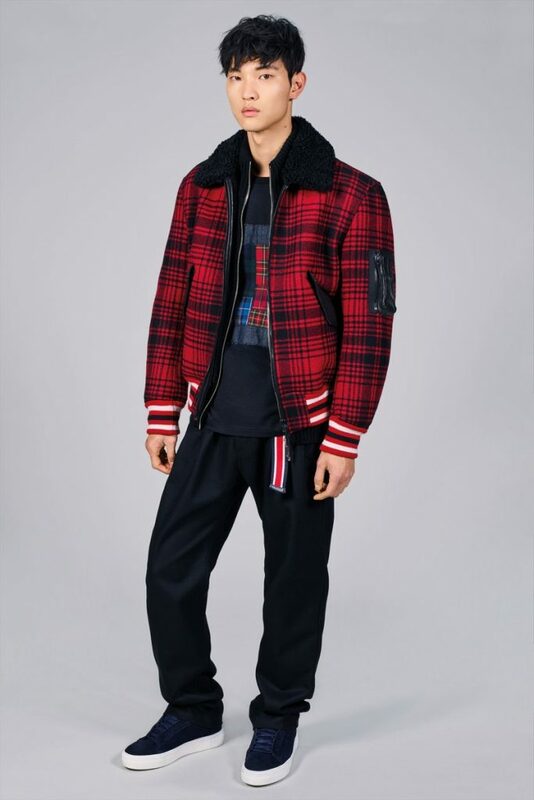 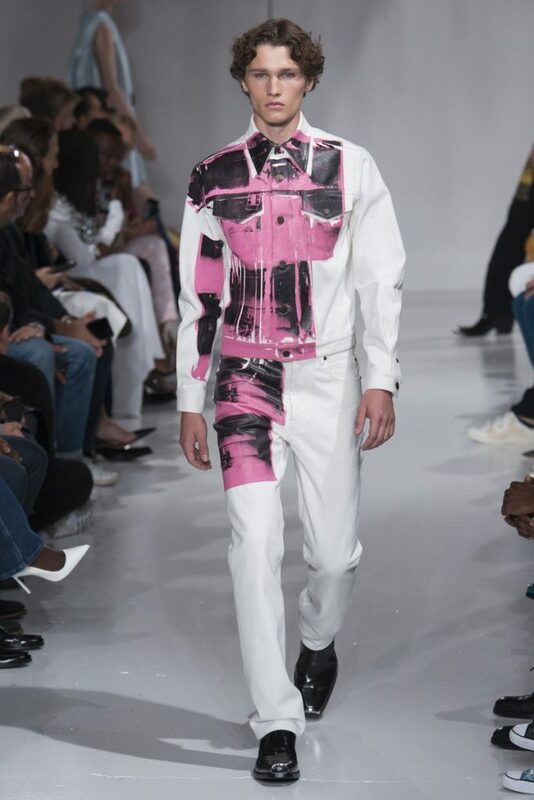 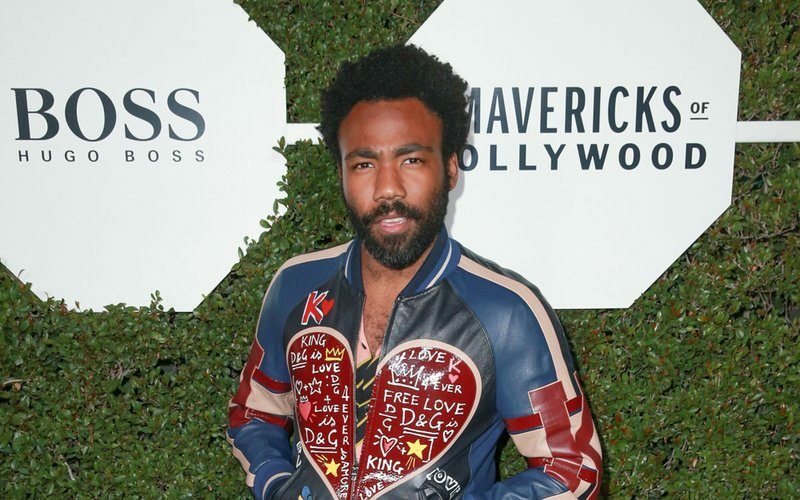 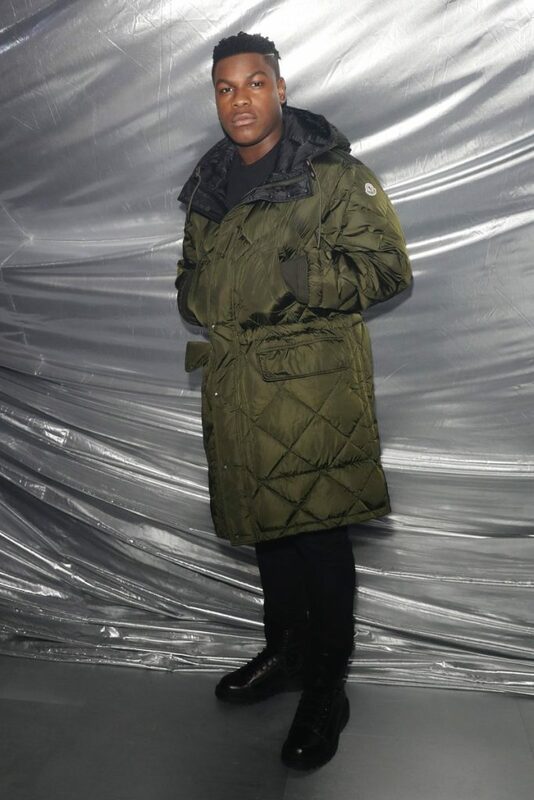 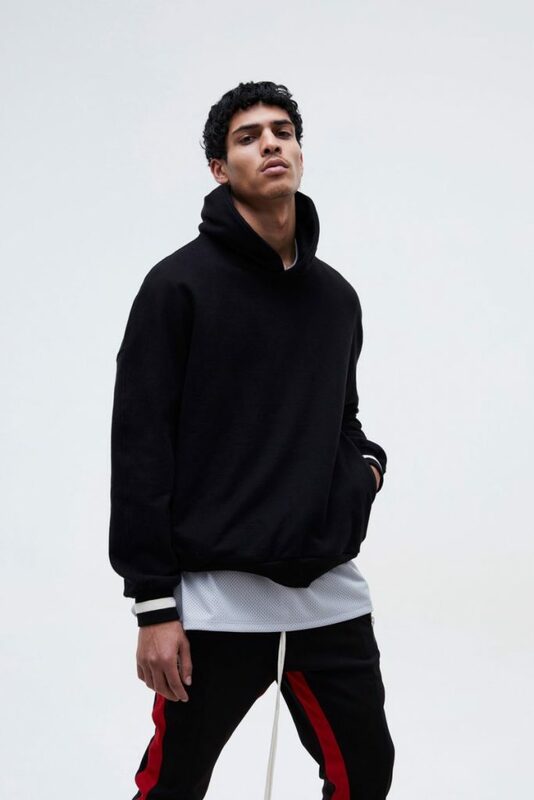 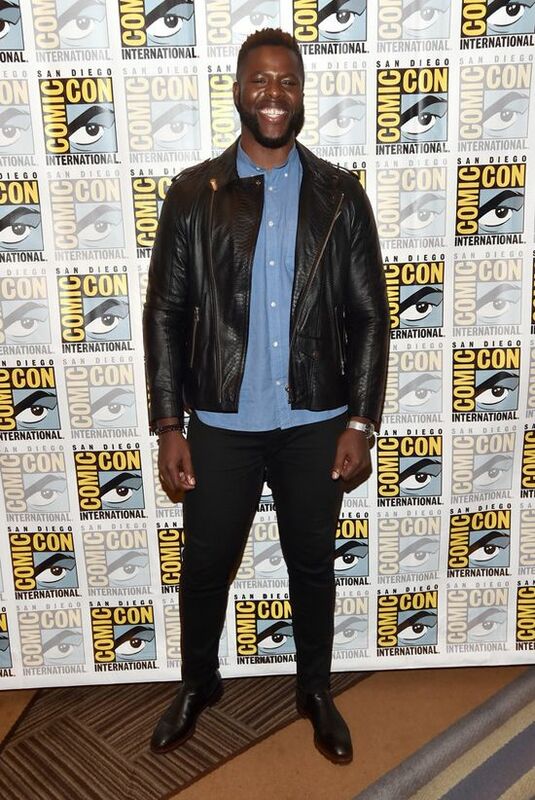 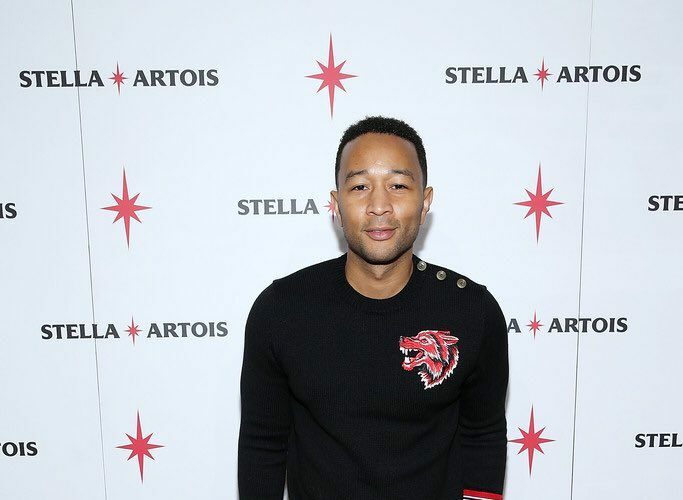 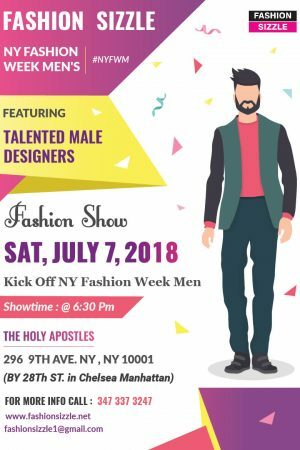 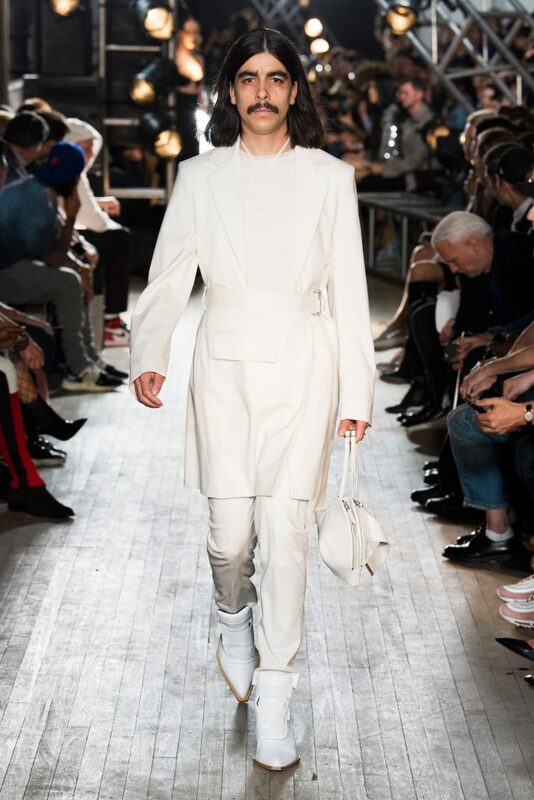 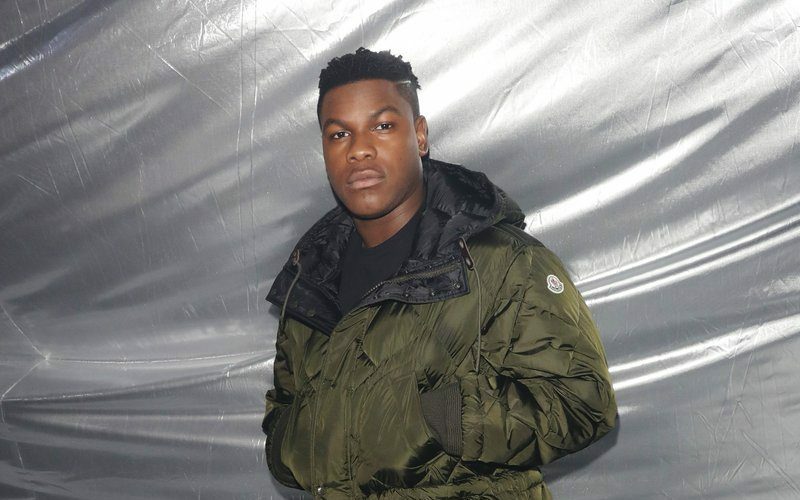 He is wearing Helmut Lang Seen By Shayne Oliver Spring 2018 design. 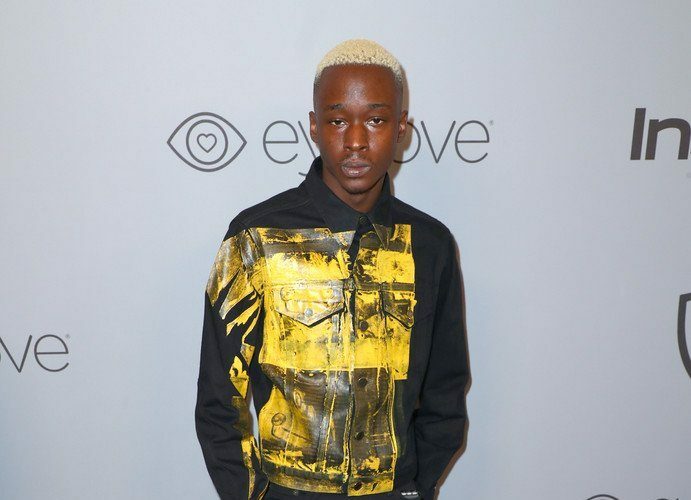 Ashton Sanders In Calvin Klein @Warner Bros. Pictures & InStyle’s 2018 Golden Globes Post-Party. 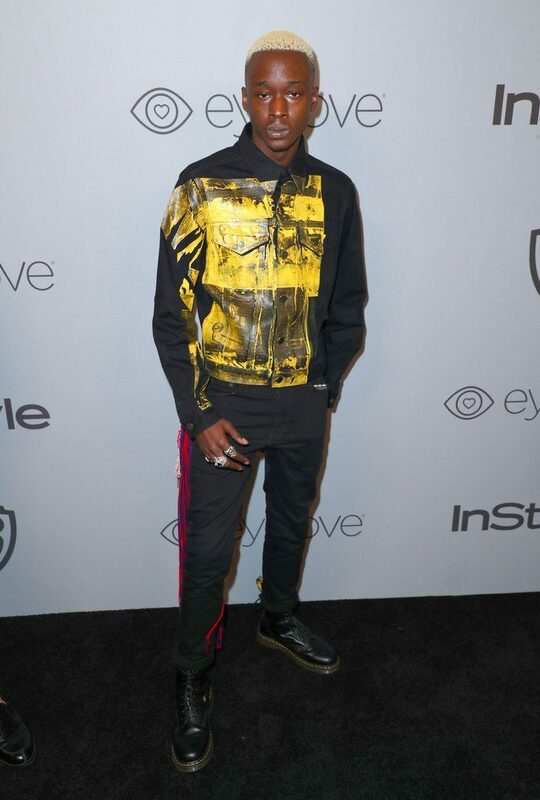 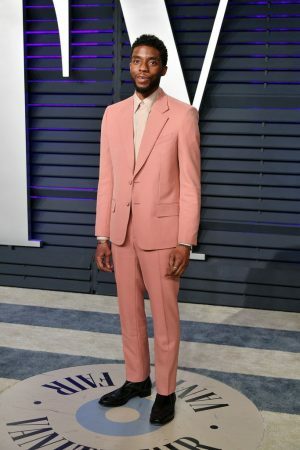 Ashton Sanders wore a full Calvin Klein Spring 2018 ensemble to Warner Bros. Pictures & InStyle’s 2018 Golden Globes Post-Party. 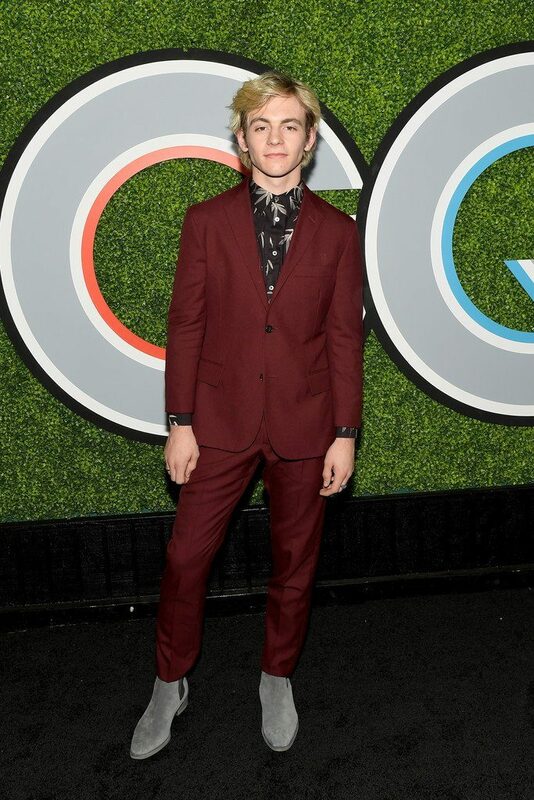 Ross Lynch In Todd Snyder @ 2017 GQ Men of the Year Party. 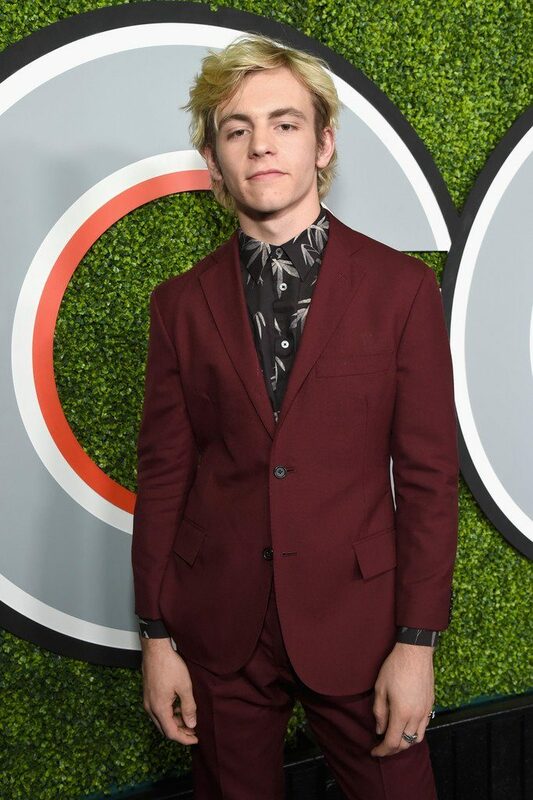 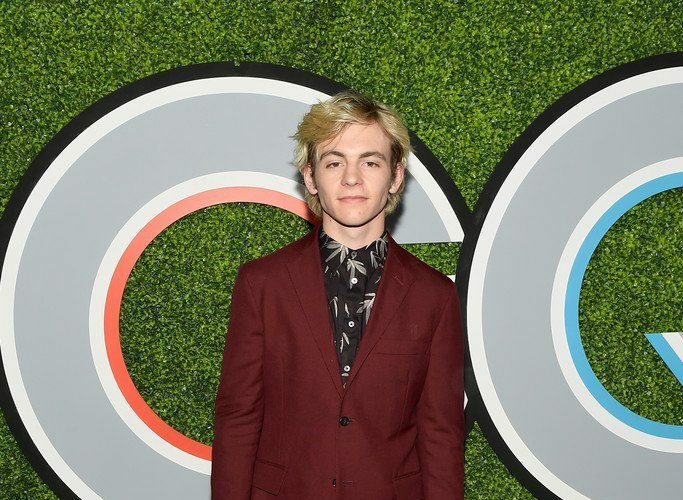 Ross Lynch wore a Todd Snyder rust red suit and printed shirt to the 2017 GQ Men of the Year party. 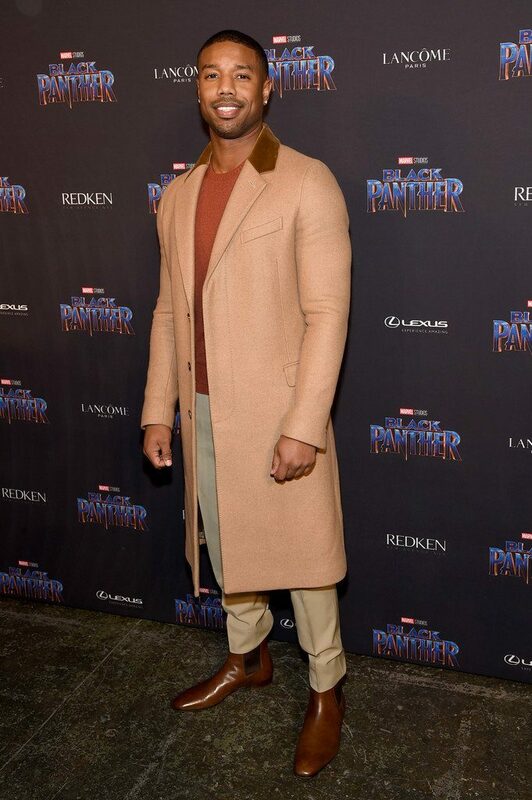 He’s also wearing Lavati suede grey boots. 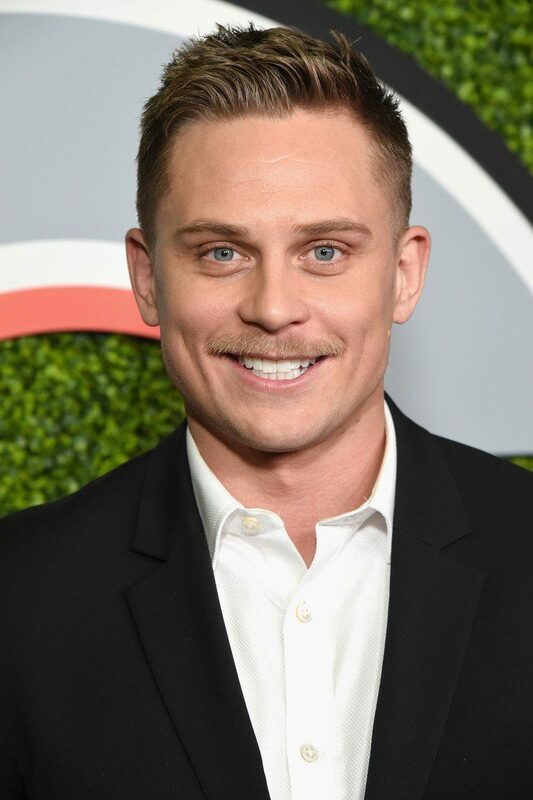 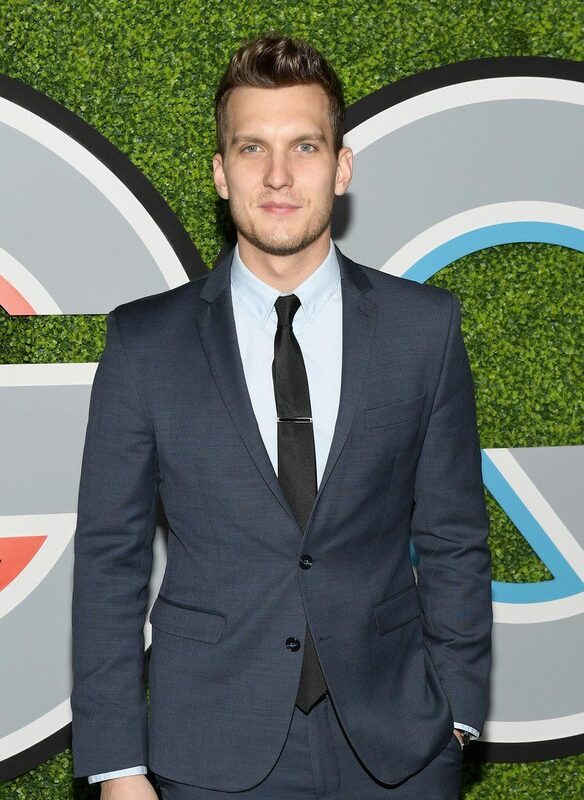 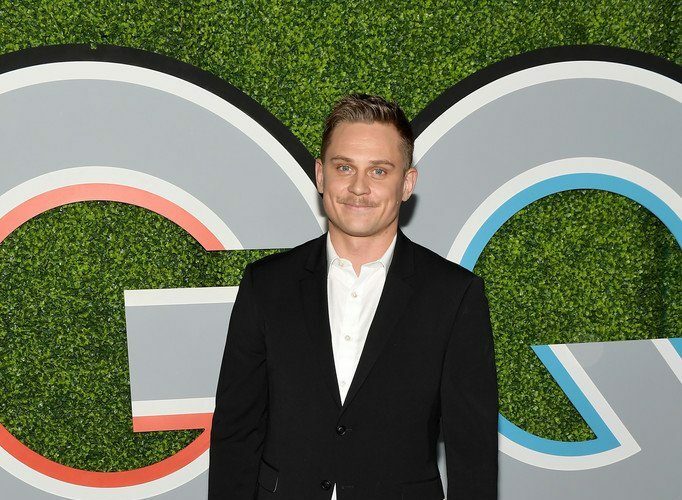 Billy Magnussen wore a Topman black muscle fit suit to the 2017 GQ Men of the Year party. 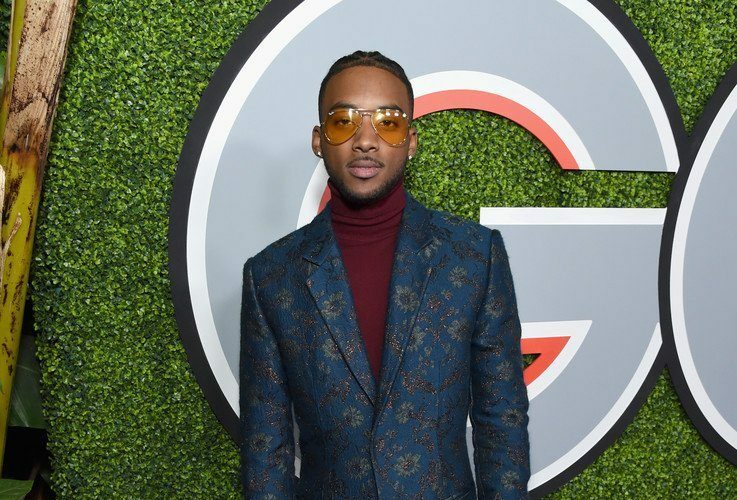 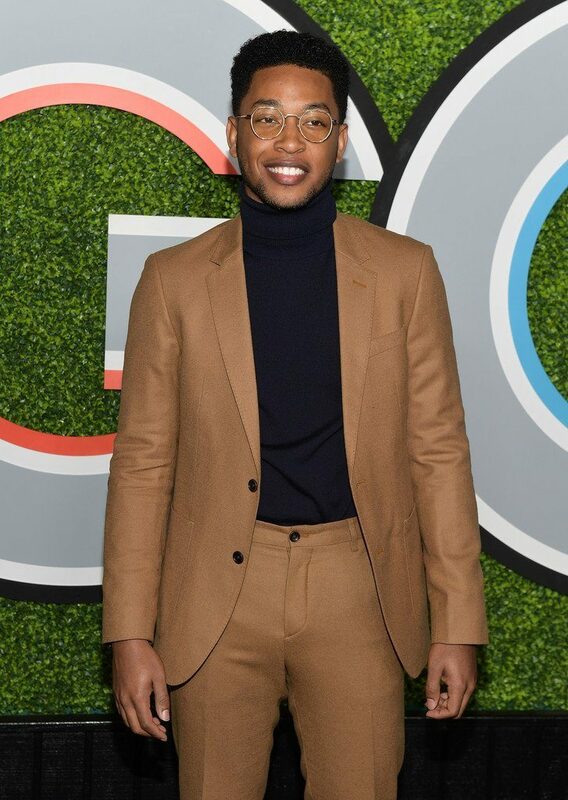 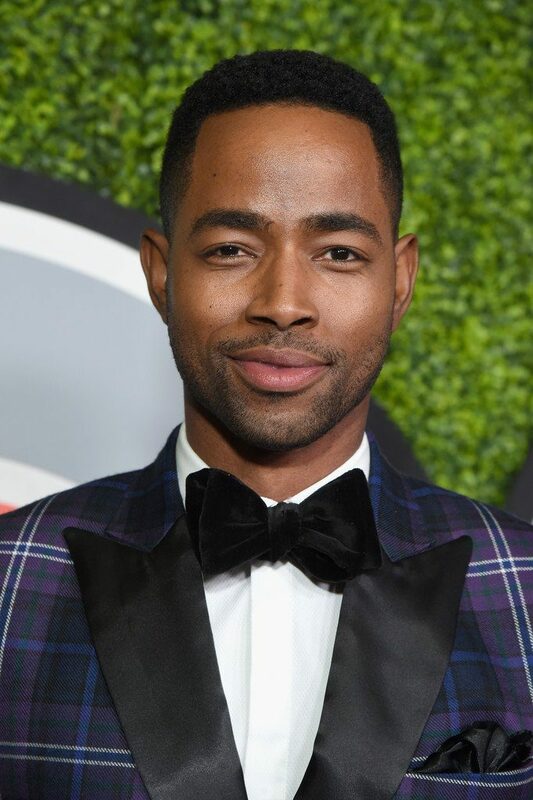 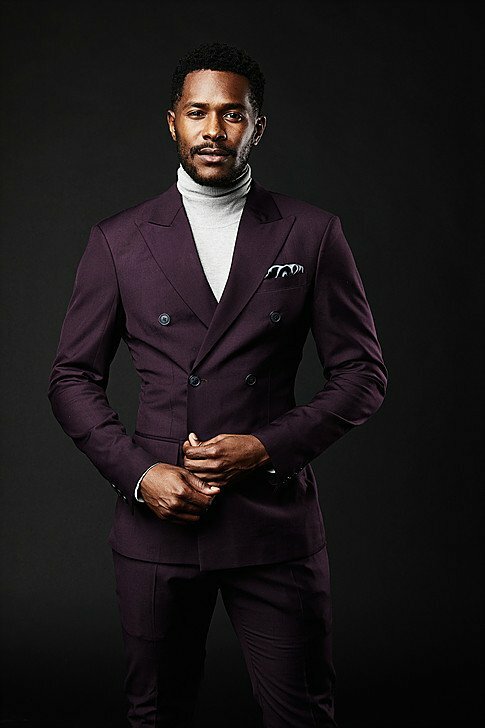 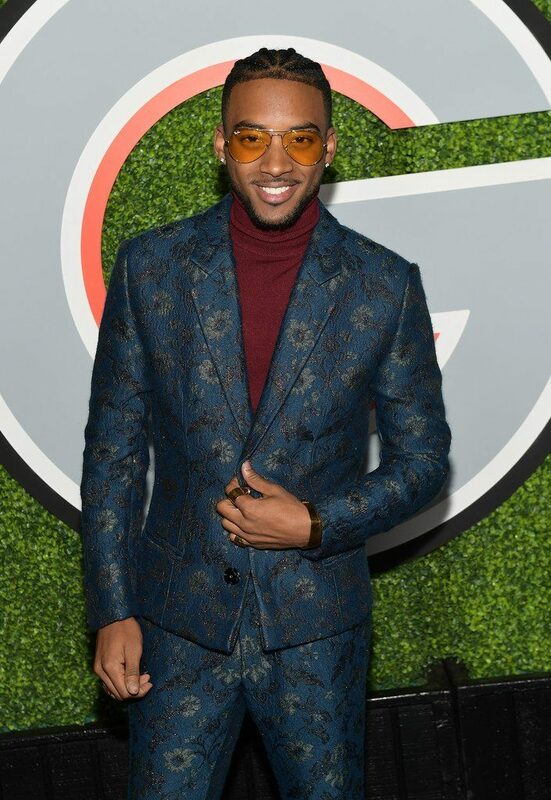 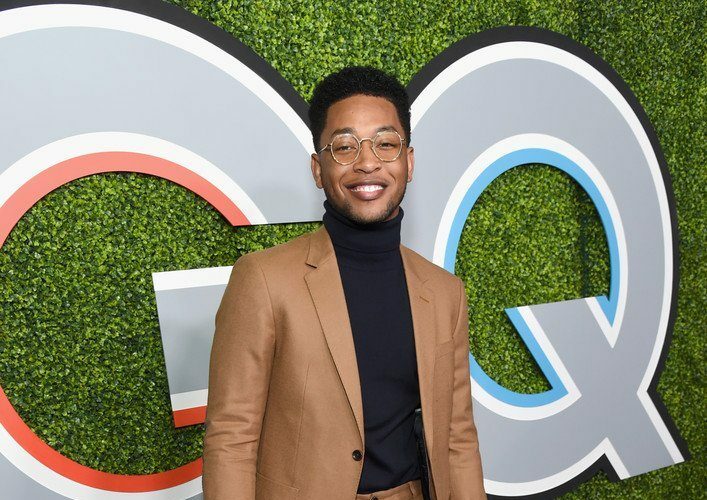 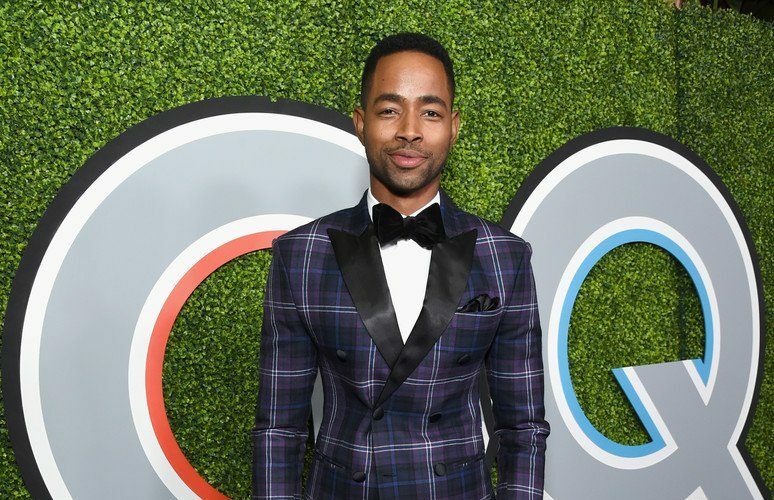 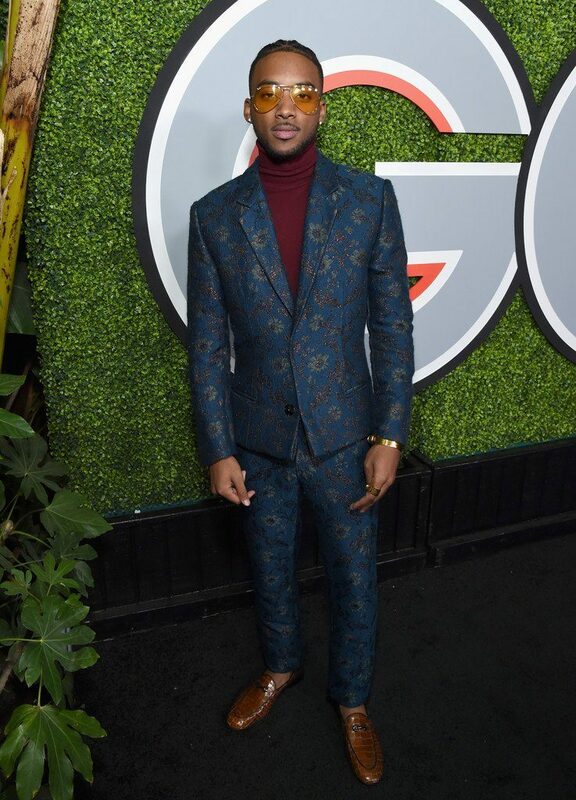 Algee Smith wore a Resurrection by Juyoung Lee Fall 2017 jacquard suit to the 2017 GQ Men of the Year party. 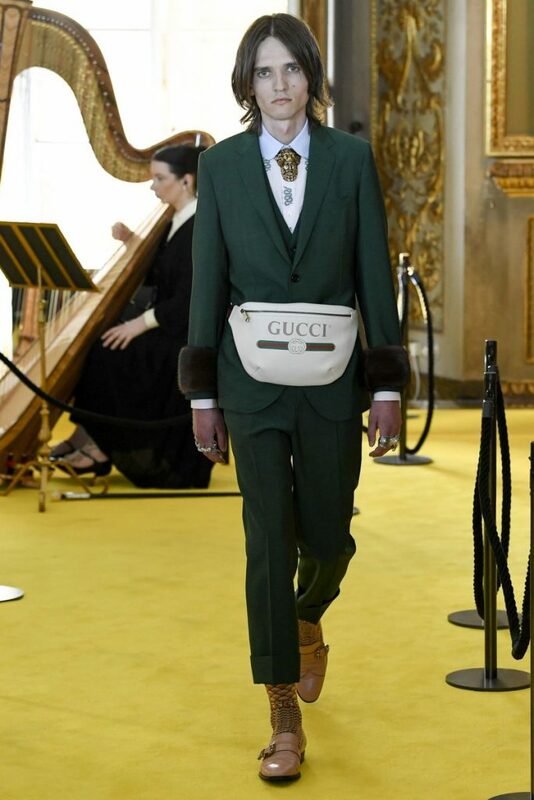 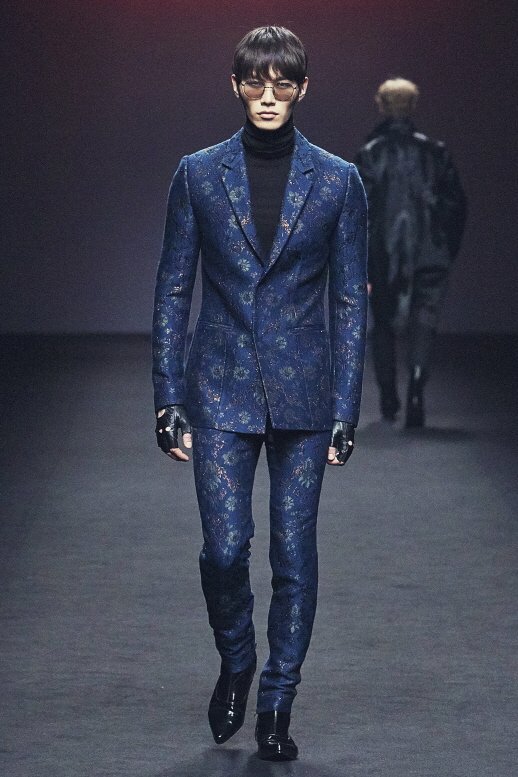 He accessorized with Armature gold rings & Giuseppe Zanotti loafers. 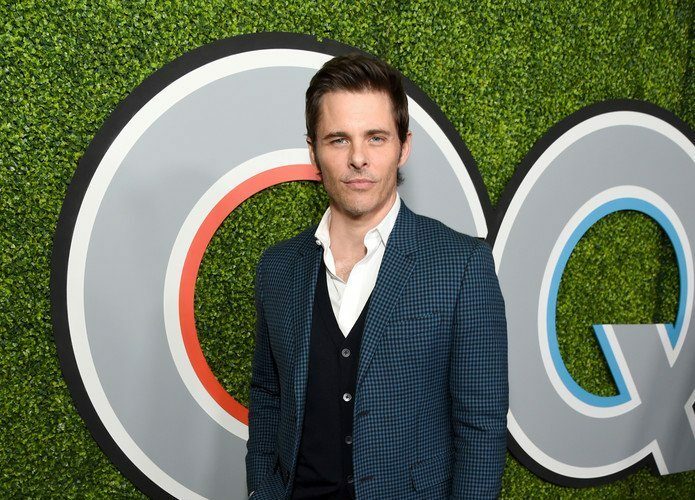 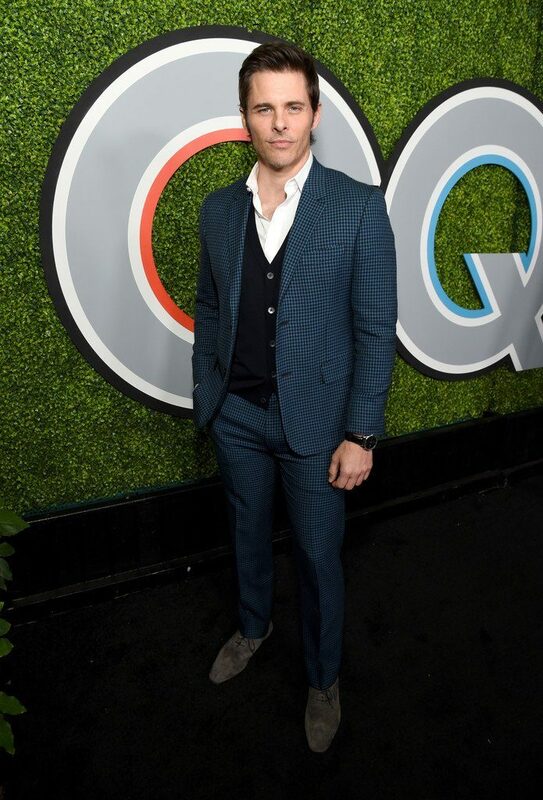 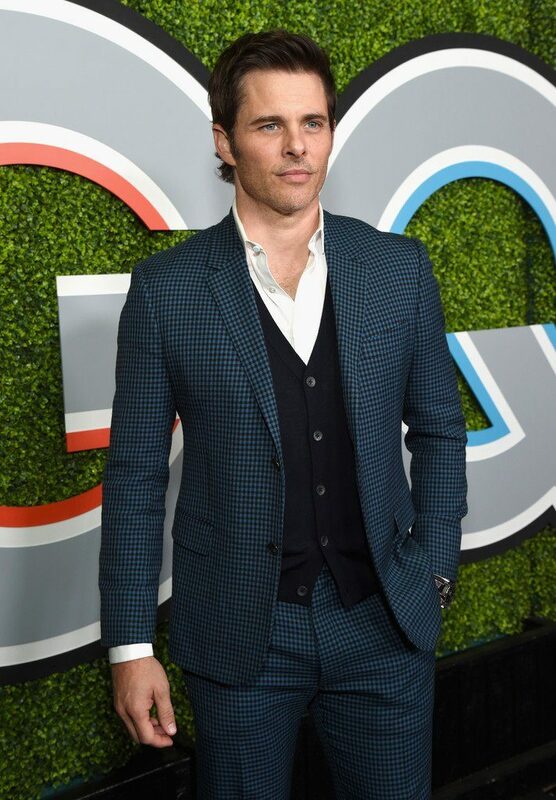 James Marsden wore a blue Valentino Fall 2017 suit to the 2017 GQ Men of the Year party. 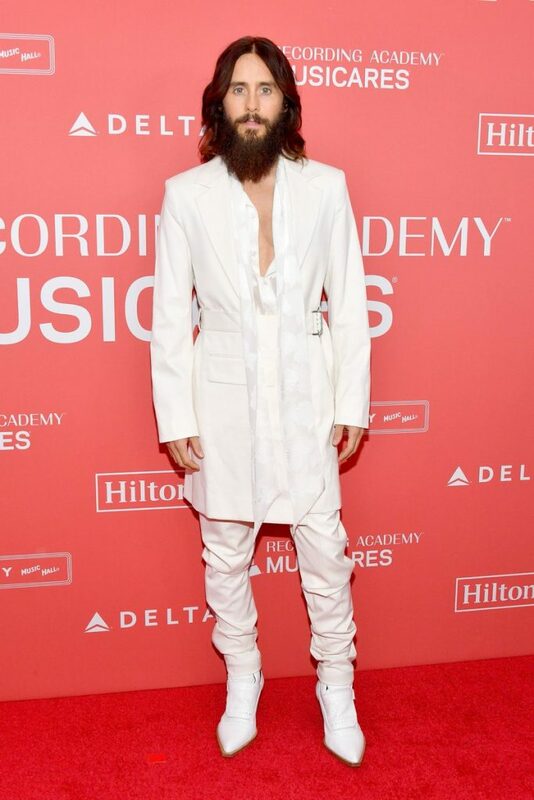 He’s also wearing Christian Louboutin shoes. 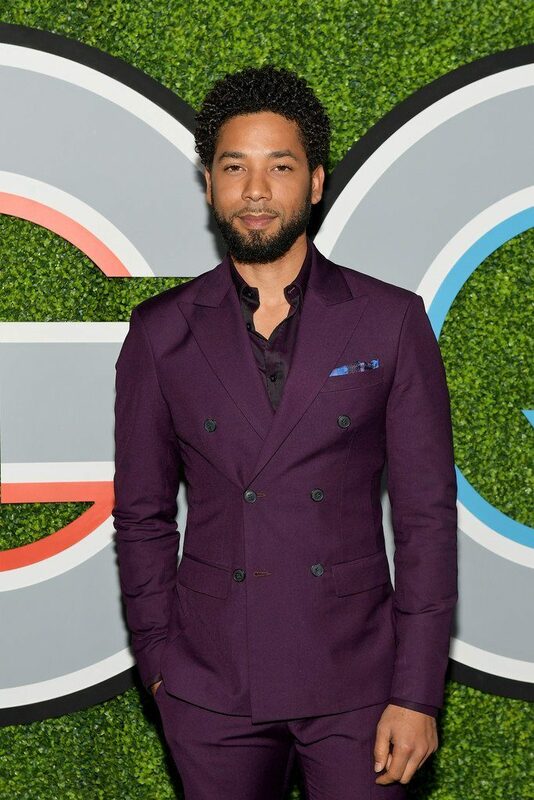 Jussie Smollet In Grayscale @ 2017 GQ Men of the Year party. 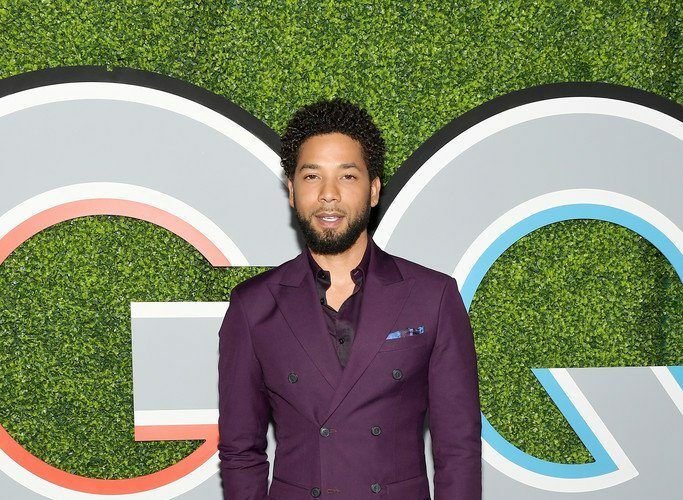 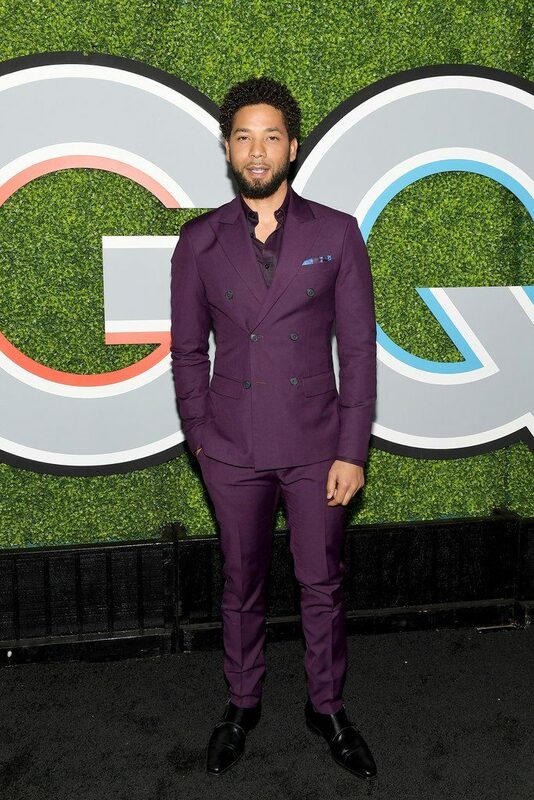 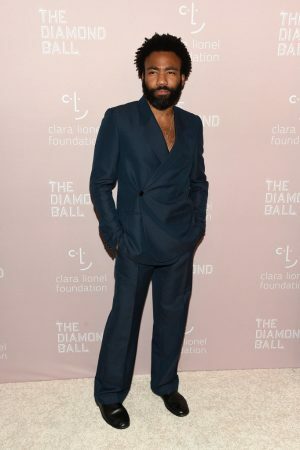 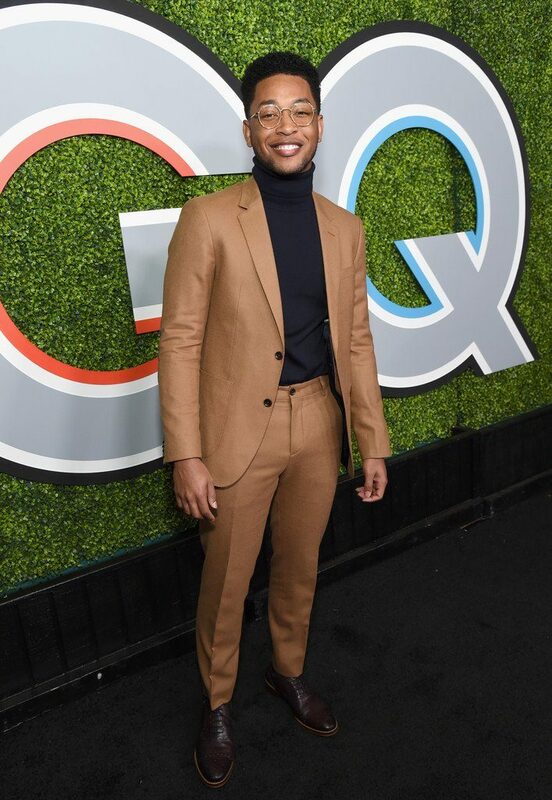 Jussie Smollett wore a Grayscale Fall 2017 eggplant double-breasted suit to the 2017 GQ Men of the Year party. 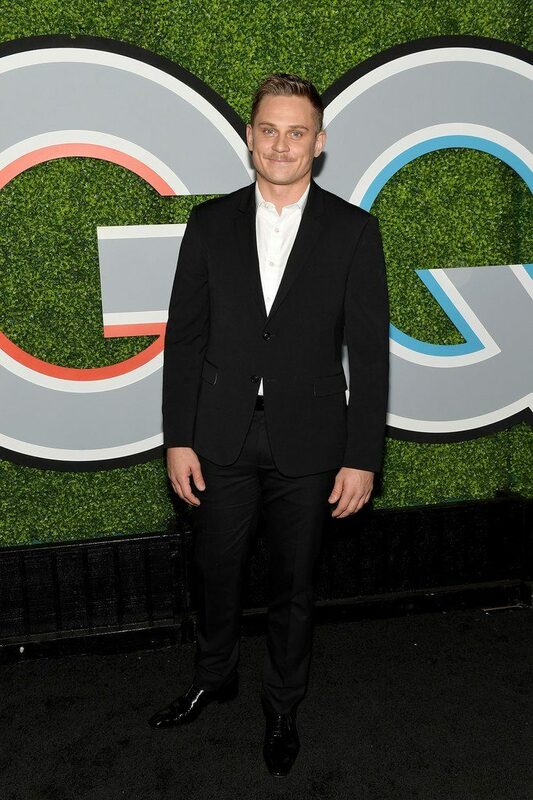 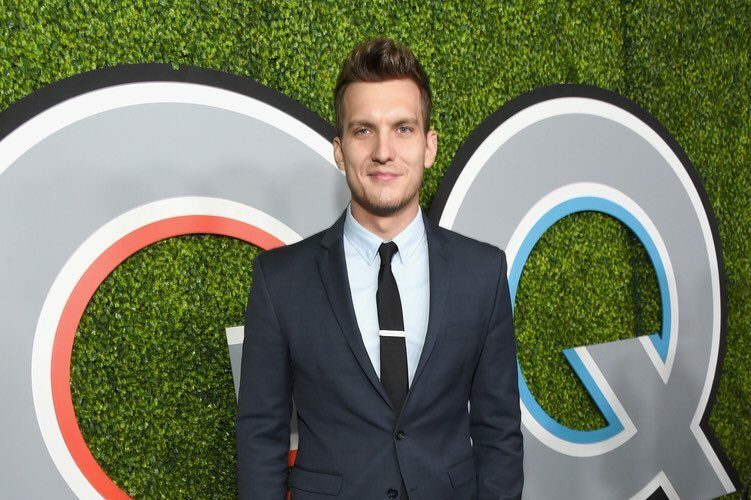 James Franco wore a head-to-toe Salvatore Ferragamo navy look for an appearance on “The Tonight Show Starring Jimmy Fallon” to promote his new movie, “The Disaster Artist”. 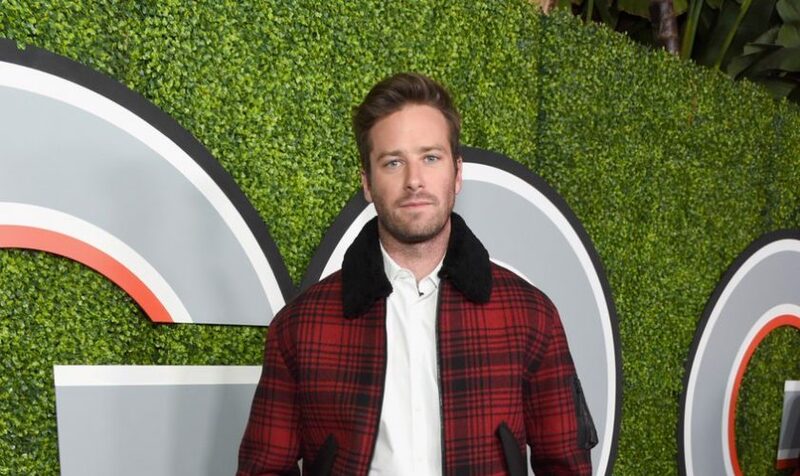 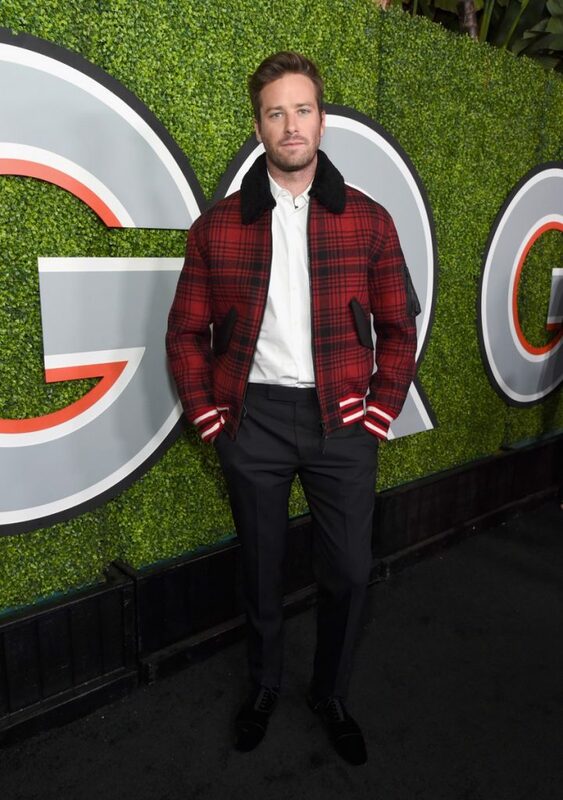 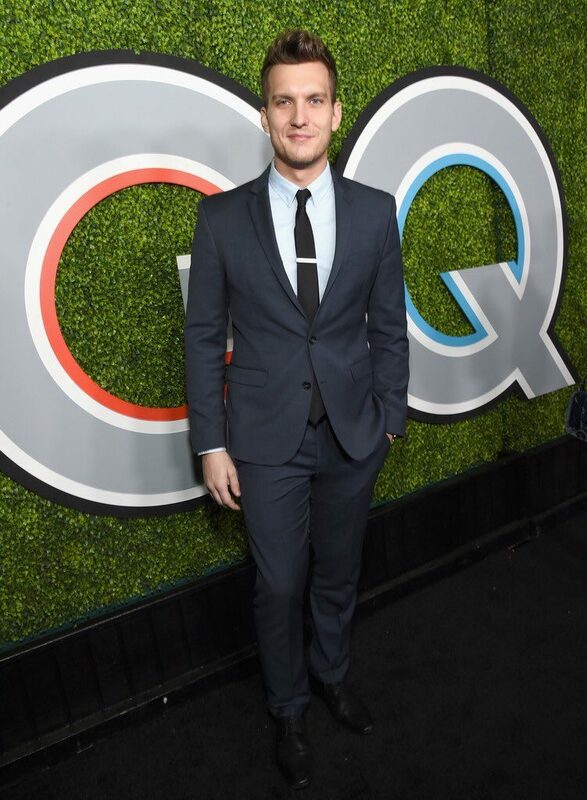 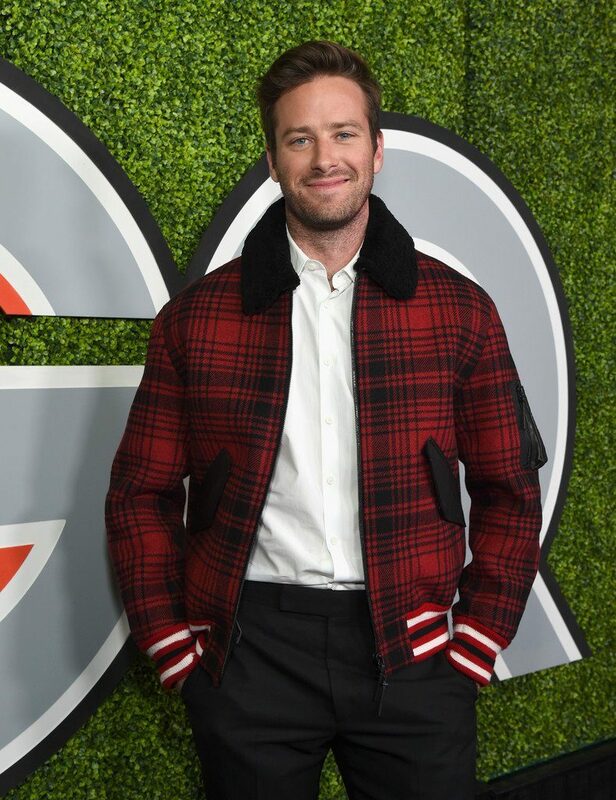 Armie Hammer is wearing a Tommy Hilfiger Fall 2017 jacket, white shirt & black dress pants to the 2017 GQ Men of the Year party. 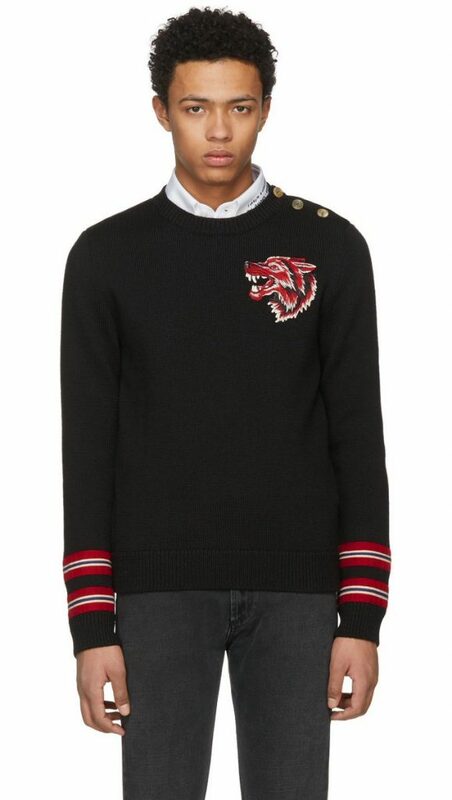 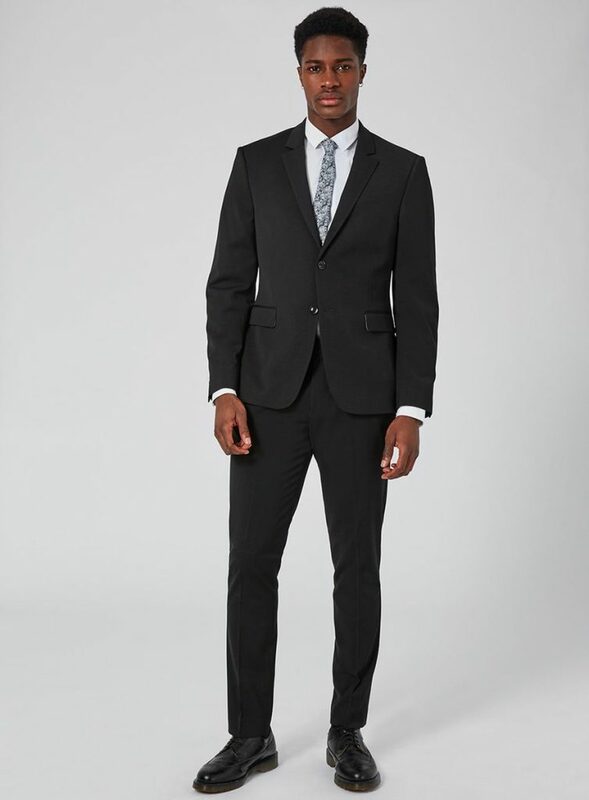 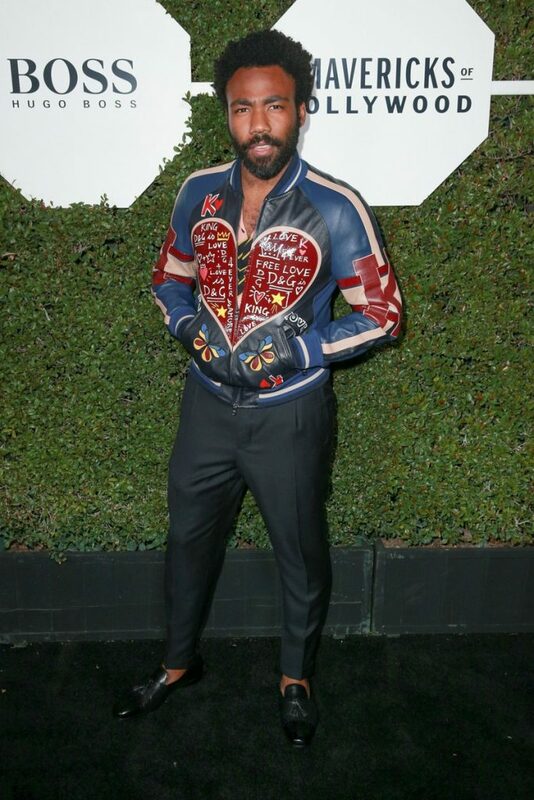 He’s also wearing a Christian Louboutin black velvet shoe.